Try the Kaweco fountain pen ink with our handy 4ml ink samples. 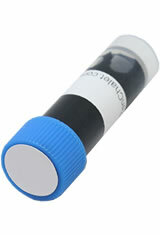 Each sample comes in a small plastic vial that is easy to carry and to fill a fountain pen from. The Kaweco Sample Fountain Pen Ink usually ships within 1 business day unless otherwise specified. Each Kaweco Sample Fountain Pen Ink we sell is guaranteed to be genuine, authentic and will arrive brand new & unused!